Disclosure: This post contains affiliate links. Please see my disclosure for more information. 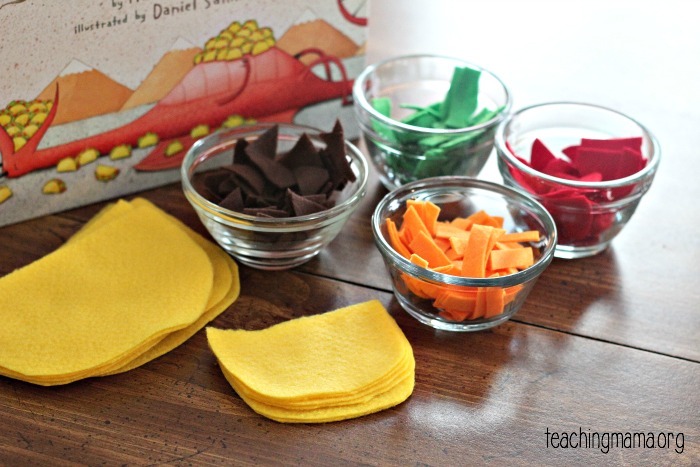 Today I’m excited to share with you some really fun activities for one of our favorite books, Dragons Love Tacos . I got this book for Troy earlier this spring and the boys and I have enjoyed reading it many times. I’ve been wanting to do book themed days throughout the summer, so I decided to start with this book. 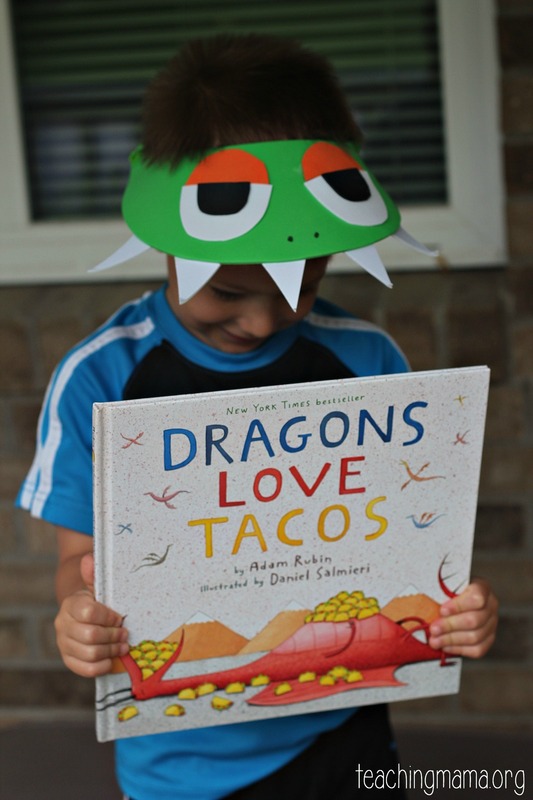 This book is all about dragons and their love for tacos. However, the dragons do NOT like spicy salsa. It just so happens that at the dragon taco party, spicy salsa is served. You’ll have to read the book to find out what happens next! It’s a very funny book that is guaranteed to make your child laugh. 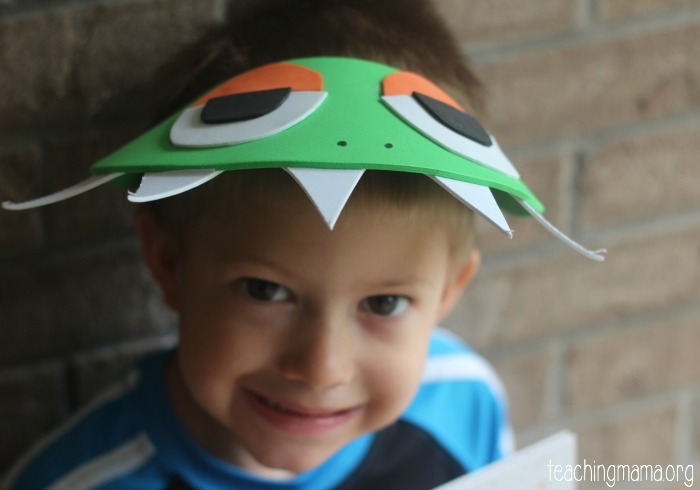 We started our book themed day after the boys got up from their rest time in the afternoon, I had their dragon hats, the book, and other supplies on the table. They were curious and excited to see what we were going to do! 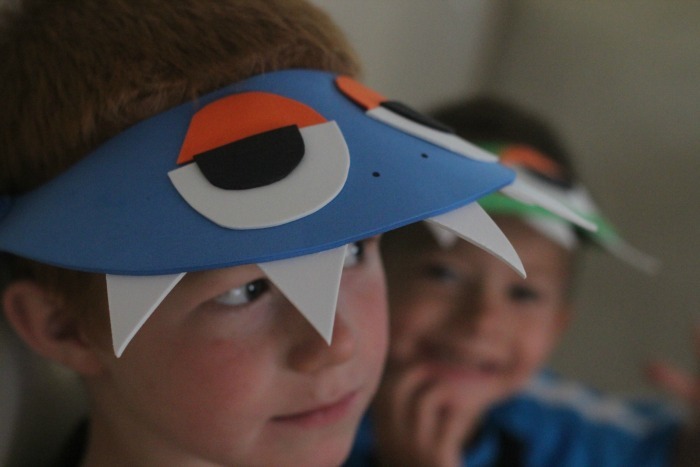 I decided to make them dragon hats ahead of time to make it easier (I found the tutorial here). 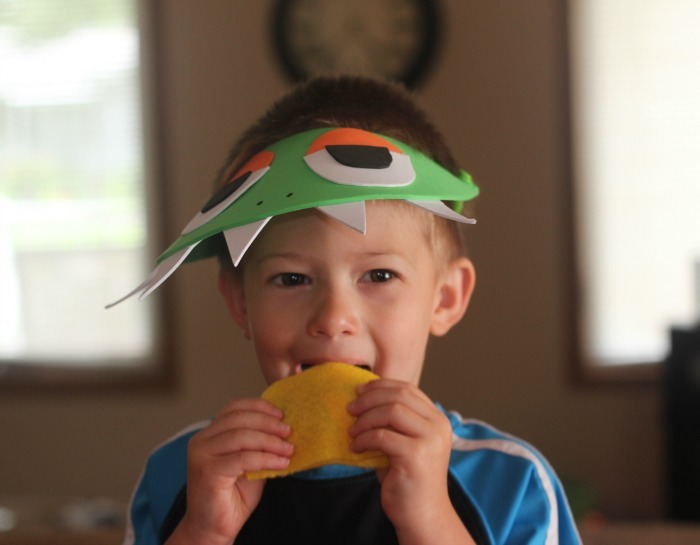 All you need is a foam visor (.99 cents at Hobby Lobby) and colored foam sheets . In the book, the party host makes LOTS of tacos for the dragons. 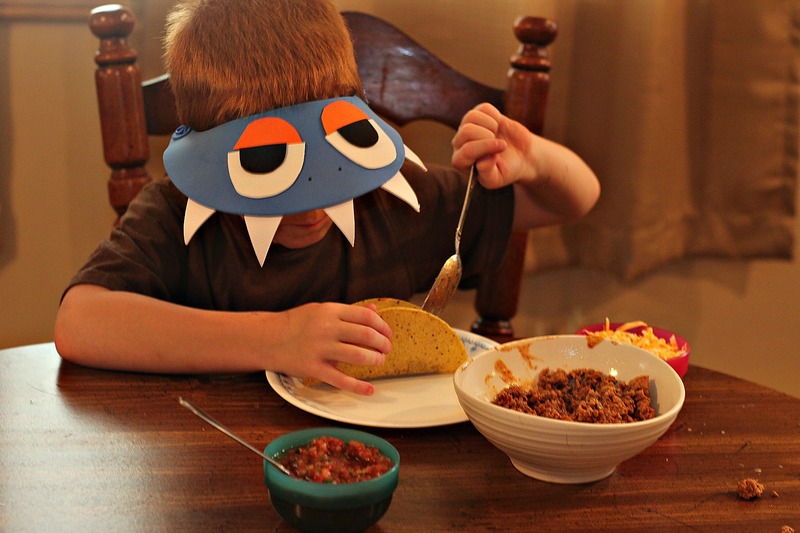 We decided to use imaginary play to create tacos for dragons. 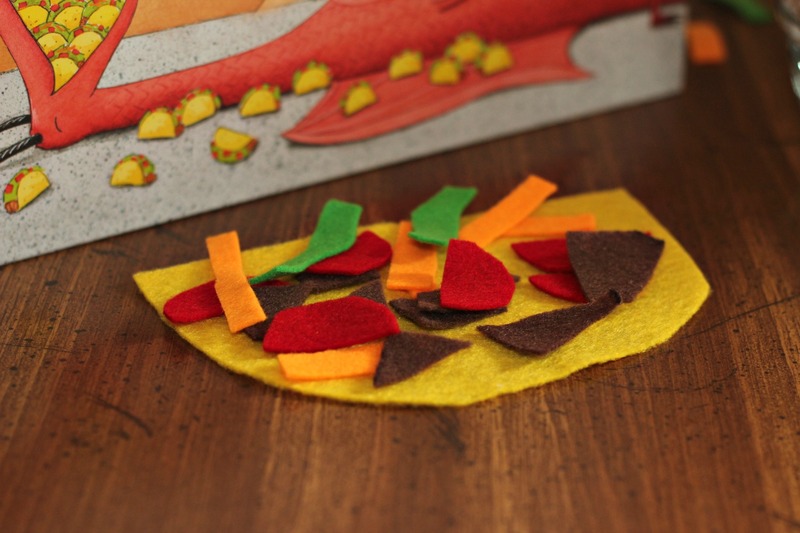 I cut out taco shells and taco toppings out of felt. 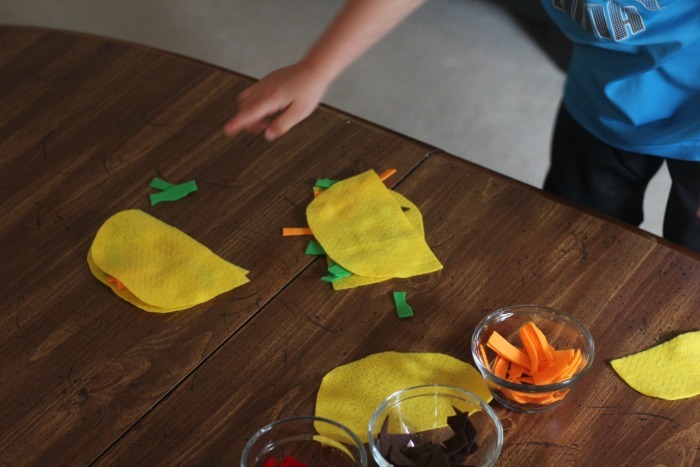 We used yellow for the shells, red for tomatoes, green for lettuce, brown for meat, and orange for cheese. I had two different sizes of taco shells. The boys built their own tacos however they wanted. The best part is there was no mess! 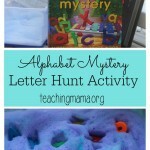 I knew they would like this activity, but I was really surprised at how much they liked it! 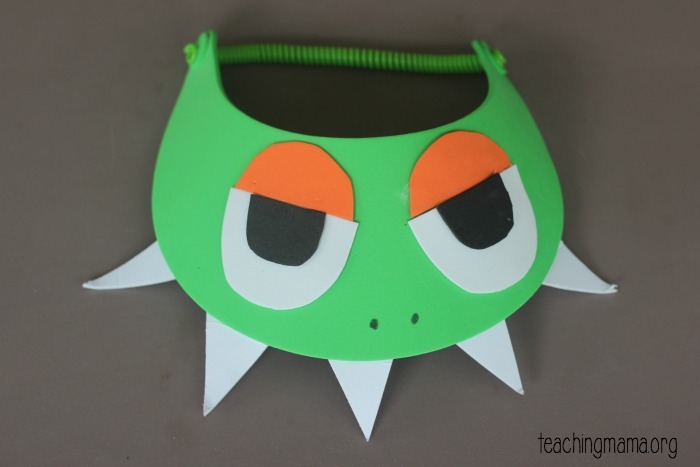 I’m going to put these felt tacos inside of a busy bag to use when we need a quiet activity. 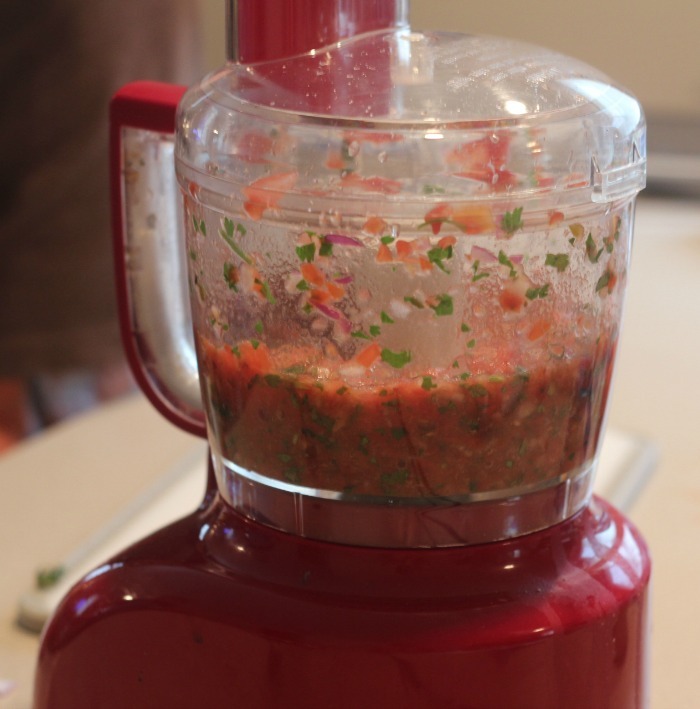 Next, we made homemade salsa. The book talks about salsa quite a bit and how much dragons hate spicy salsa. We decided to make a very mild salsa that dragons would like. 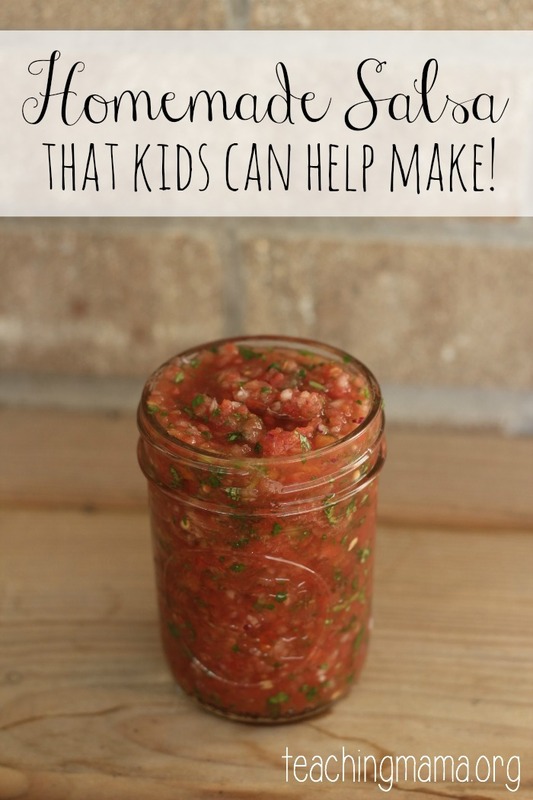 This was a great learning opportunity because the boys really had no idea what goes inside of salsa! They used knives (carefully) to dice the tomatoes and onions. 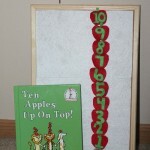 You can find the recipe we used here (we used fresh tomatoes instead of canned ones and didn’t used jalapeno peppers). This recipe is DELICIOUS!! They boys even liked it. Then I had the boys help me make tacos. They were thrilled to help me in the kitchen. They helped me grate the cheese, brown the meat, warm the taco shells, and set the table. 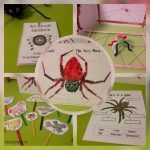 Lots of learning going on in the kitchen! When everything was ready, the boys put together their own tacos. And believe me…they were yummy! 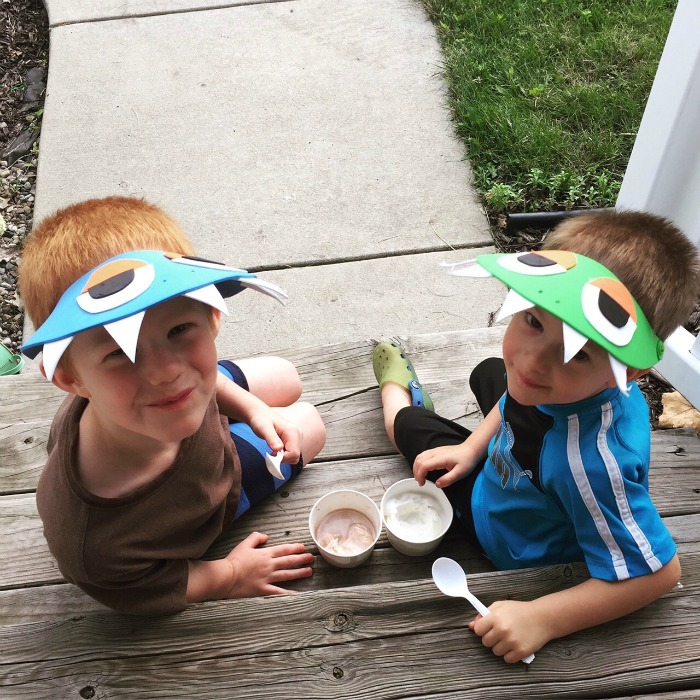 And just for fun, we topped off the night with some ice cream on the porch. We love summer nights! 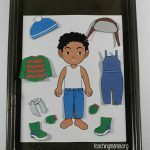 The boys LOVED these activities. They can’t wait for me to plan our next book day! 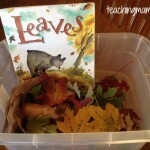 Do you have any suggestions for books? 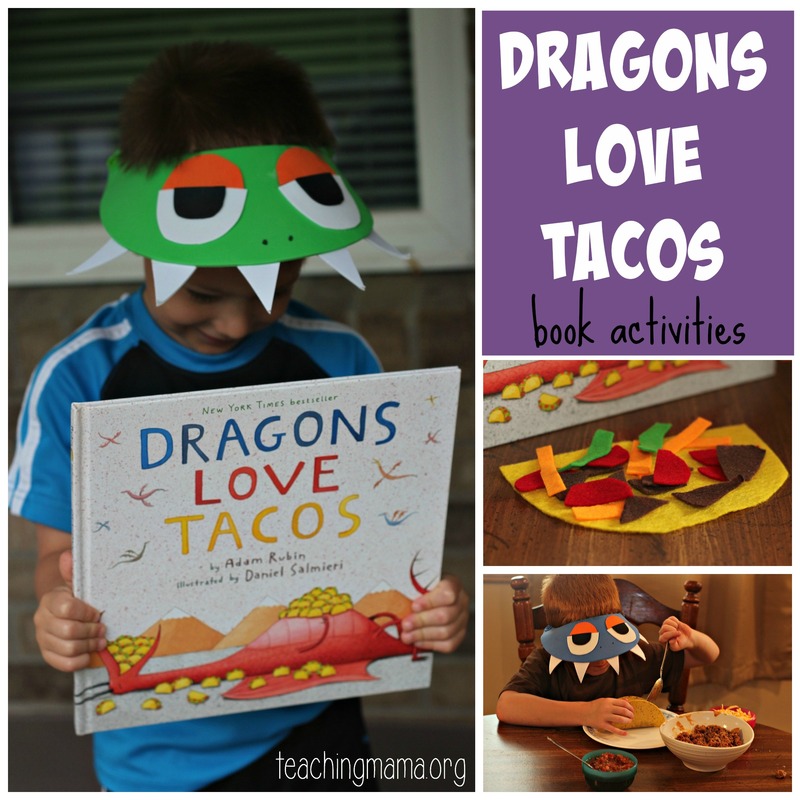 Dragons Love Tacos is one of our favorite books too! 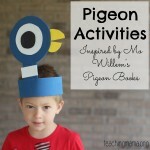 What a fun themed afternoon you put together for your kids based on this book. Love it! 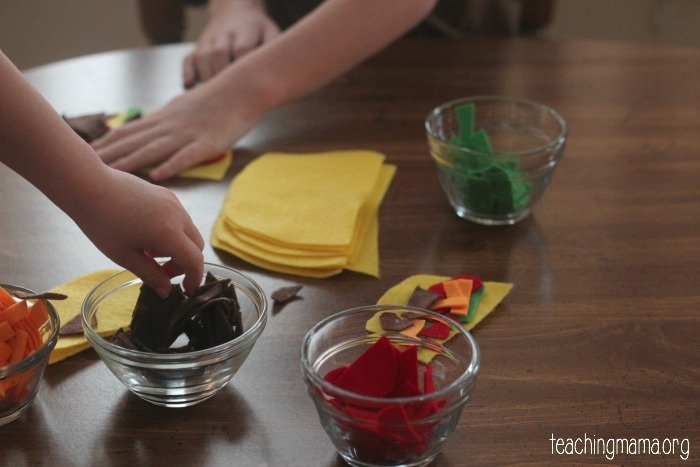 Katie @ Gift of Curiosity recently posted…Upcycle your old and broken crayons! This is adorable! 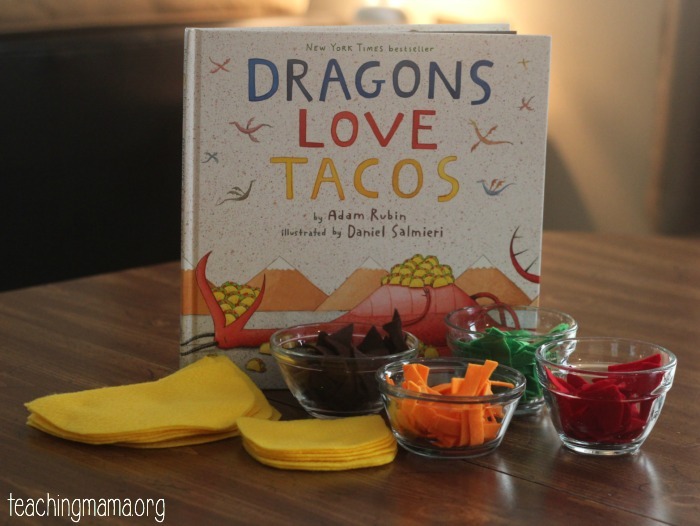 We love “Dragons Love Tacos” but I’ve never thought to pair it with an art activity (tacos, yes-art, no!) 🙂 Thanks for this cute idea!